Villas for sale in Moraira and the BEST Areas - Only the BEST!! Discover here the best Villas for sale in Moraira and the best areas like Pla de Mar, Benimeit or El Portet. VILLA FOR SALE IN MORAIRA. A charming south facing villa with 2 bedrooms and 1 bathroom , with a huge terrace which was reformed in 2008. The property has open view and parking and is only a few minutes from the nearest supermarket and restaurants. 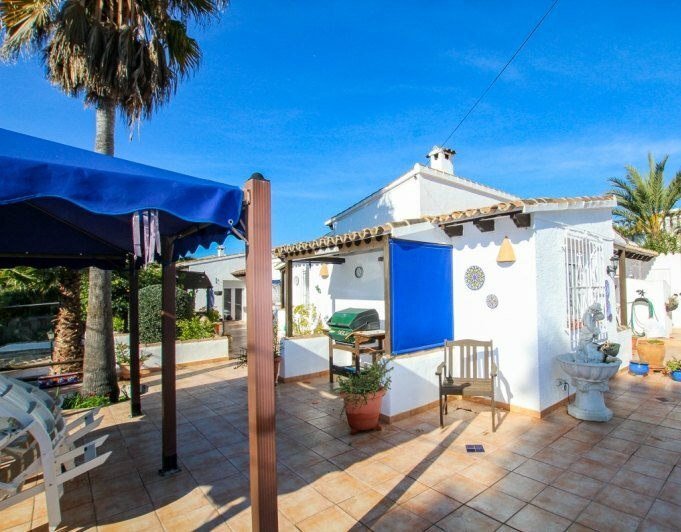 Very nice 2 double bedroom villa within walking distance to the beautiful beach of EL Portet in Moraira, and walking distance to the beautiful village of moraira on the Costa Blanca North Spain, the villa is 1 hour drive to Alicante airport and 1 hour 10 minute to Valencia airport. The villa is on the Camino de La Viuda up from El Portet beach.The villa consists 2 good size bedrooms with fitted wardrobes, family bathroom, kitchen, large room and dining room looking over the communal large pool and stunning mountain views towards Fisherman's Cove valley. 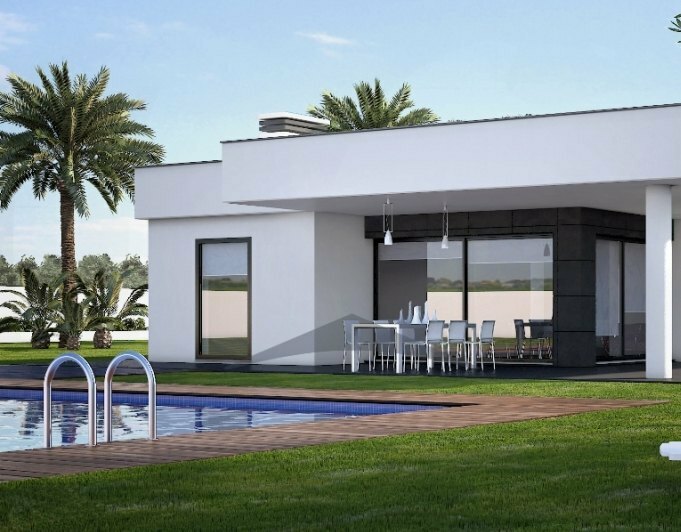 The villa has an under build, at the moment the under build is used for a washing room, but the under build can be easily convert into 2 bedroom apartment. You could also build another bedroom above where there is a roof balcony.The property has private land around the villa overlooking the communal large pool and lovely well kept communal gardens, over looking the beautiful mountain views, the villa got private off road parking for 3 car.This villa is close to the beach and moraira town, and with the fantastic mountain views and from the roof balcony you can see parts of El Portet sea. 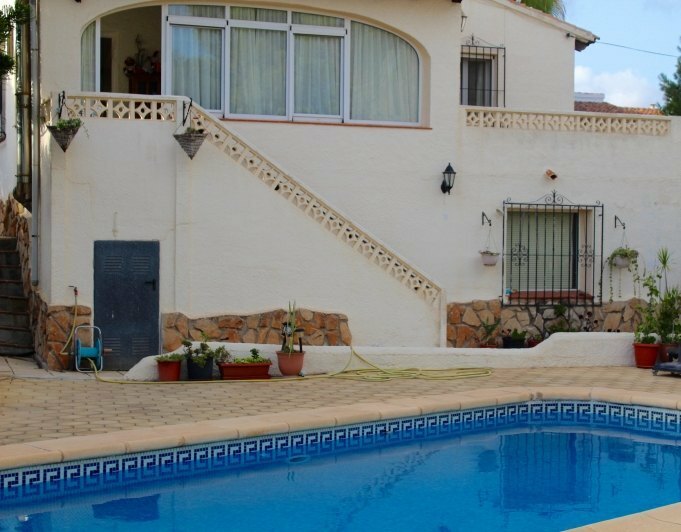 This 3 bedrooms, 300 m from Tabaria stores and close to the town of Moraira and the beach. Chalets for this budget is almost impossible to find in this area. This property currently has a high rental demand. Detached villa on a totally flat plot of 870m2 approximately 20 minutes walk from Moraira town center.Accomodation is set all on one level and it comprises 2 double bedrooms, 1 single bedroom, 1 family bathroom, separate fully equipped kitchen and lounge/dining area, outdoors there is a special shape private pool with integral table and seating area. There is enough room to extend the existing property.The property boasts large outdoor space with plenty of off road parking, quite neighbourhood, wood burning stove, private pool and is close to town. This lovely detached property is located within a very sought after location in Moraira, only a short walk from the beach and all kind of amenities.Access to the plot is through the electronic sliding gate which leads through to the spacious garage also with electronic PVC door, on the upper level we find all accomodation nicely laid out focusing on the pool area. From the pool terrace a set of wooden doors with double glazing give access to the spacious and bright living room that flows through to the ample dining room which can also be used as entrance, to the left we find a hall way that divides the entrance to 2 spacious double bedrooms and 1 family bathroom, on the right of the living room we find another hall way which gives access to the separate fully equipped kitchen with a door to the side garden, 1 family shower room and another double bedroom.On the south side of the property we find a beautiful special shaped pool, outdoor shower, BBQ area and a partially covered terrace with steps up to the solarium. Dowstairs by the garage there is a large storage space which is laid out to accomodate a guest apartment with 2 double bedrooms, living room, full bathroom and kitchen (which are already in place).The property boosts double glazing throughout, gas central heating, airconditioning hot and cold, garage and a beautifully maintained garden. A 3 bedroom detached villa in the Benimeit area of Moriara, with a 8x4m private pool and lovely open views. Inside is an open plan kitchen /dining area leading onto the sitting room with an open fireplace. The property benefits from 2 bathrooms, oil central heating and air conditioning. This property is an attractive buy being only 800 km from the town centre of Moraira, with fantastic sea views across the bay of Moraira and beyond, with the option to extend and remodel into a new modern home.The house is situated in the peaceful area of Club Moraira, south facing, and with the possibility to be extended and renovate to approximately 350 m2 of living area with an underbuild ready to renovate.At the moment the property consists of 2 bedrooms, a bathroom, kitchen, lounge and terrace. 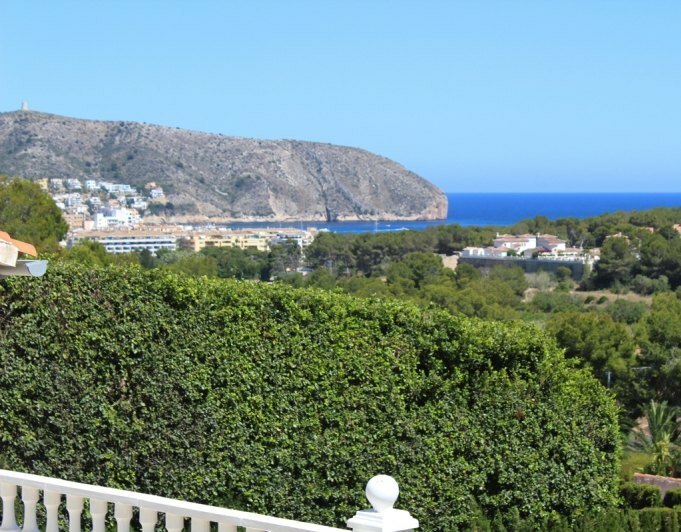 The opportunities are incredible for a family looking for a new home close to Moraira Town, excellent sea views and the option to make it into their own home. A really nice holiday home for sale in the area of Golden Valley Moraira. This is a very good build villa, build in 2004 and is done with a very good finishing. Three bedroom and two bathrooms, each bathroom has a toilet. Will be sold completely furnished! The ideal vacation home and a perfect one if you want to put it for rental incomes. Beautiful mountain and sea views. This is a must see and is priced to sell quickly! Reduced from €475,000 To €350,000 open to offers. 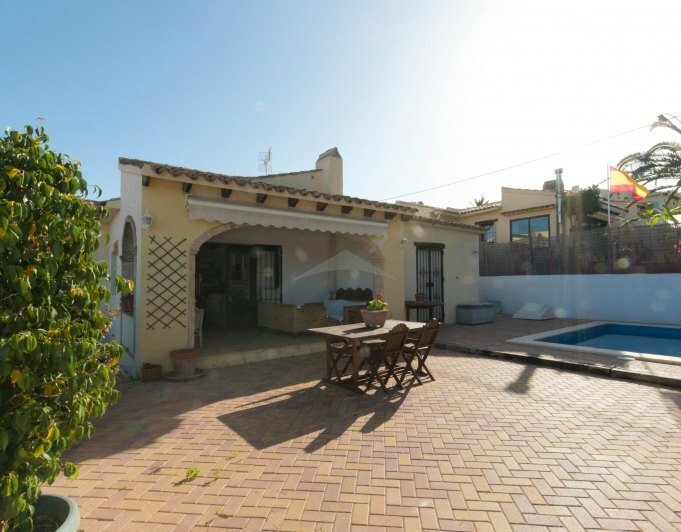 New House For Sale in Benissa, Costa Blanca. Attractive new construction project.This modern property is designed all on one level. The proposed distribution would be for a large open plan main living area consisting of large kitchen and breakfast bar, leading onto the ample sized dining room and lounge area, from which you can gain access out onto the covered terrace.The spacious main bedroom is complemented with an en suite bathroom , and the two double bedrooms share a bathroom.This perfect layout also includes a visitors bathroom and utility room.The large pool area finishes off this modern easy living property.The distribution can be adapted to the requirements and desires of our client.PLOT NOT INCLUDEDPlease contact the office for more details. Villa in Moraira close to the beach and town. 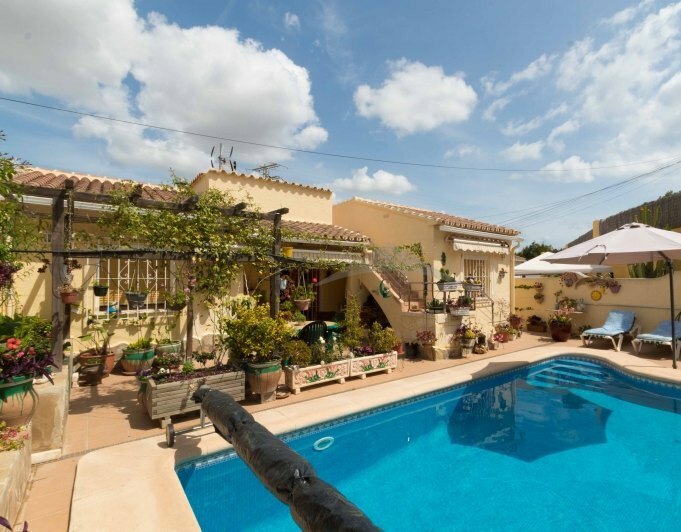 Charming villa in Moraira, 1 km walk from the beach and town centre. The house has a 559 sq.m. flat south facing plot with pretty garden.The house has 2 floors, with an internal staircase. It has been renovated and completely rewired in 2013.The lower floor consists of: a porch, storage room, livingdining room with fireplace, kitchen, 2 double bedrooms, one with exit onto the terrace and a bathroom. The upstairs consists of: 1 double bedroom, dressing room and ensuite shower room. It is being sold furnished.Air conditioning (hotcold) in all of the bedrooms and the living room. Swimming pool (7 x 3,5 m2) with terrace and barbecue. Quiet place in culdesac. Private. This spacious villa is located on a small managable plot within the area of Costera del Mar, just 500m from the heart of Moraira and it's beautiful Sandy beaches.A few steps lead to the front door of the property which accesses the ample entrance hall, to the right we have a fully fitted independent kitchen which overlooks the garden, straight from the hall way we Access the spacious living/dining room with fire place and double doors out to the covered naya and the spacious pool terrace.To the left of the living a hall way provides Access to all the accomodation which comprises 5 double bedrooms, 2 family bathrooms and a good amount of storage.Outdoors we find a squared shape private pool and a spacious south facing terrace and BBQ area.The property boosts gas central heating, PVC double glazed Windows through out, easy to maintain garden, private pool and only a short walk into Moraira. A very nice villa in prime location just a short walk to the beach and all amenities. The villa is located on a flat plot with a very large covered terrace to take in the panoramic views and sunsets. The villa is all on one level with a large kitchen, three bedrooms and two bathrooms. There is air conditioning in the master bedroom, central heating through out and a log burner in the lounge. The villa has a very private pool and garden with BBQ area. There is covered parking for one car and uncovered for three more. This large villa is located just 10 minute walk from the town center of Moraira and it's Sandy beaches. Accomodation is divided in two identical apartments comprising, big open porche area which gives access into the living/dining room, to the left both apartments have a separate fully equipped kitchen, to the right of the living room is the hall way where we find guest wc, full bathroom and 3 double bedrooms.Property benefits of double glazed Windows throughout,, gas central heating upstairs and downstairs, private 8 x 4 pool with roman steps and nice open views.Ideal holiday rental. 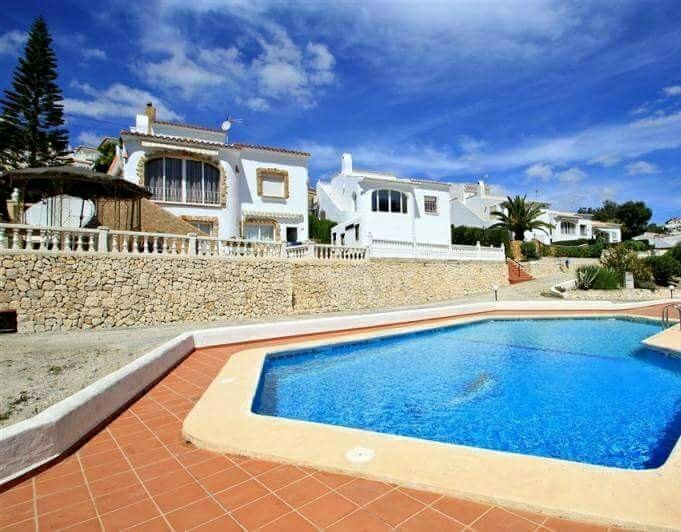 This is a lovely 4 bedroom Villa for sale in the Sabatera area of Moraira. 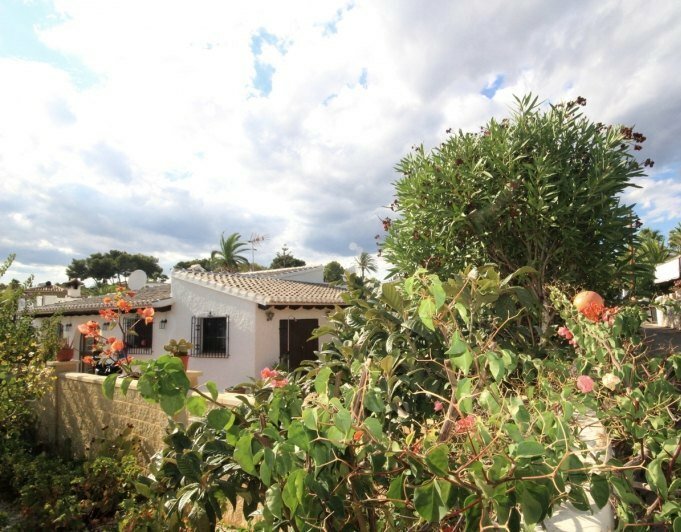 Within 1 km flat walk to the centre of Moraira. 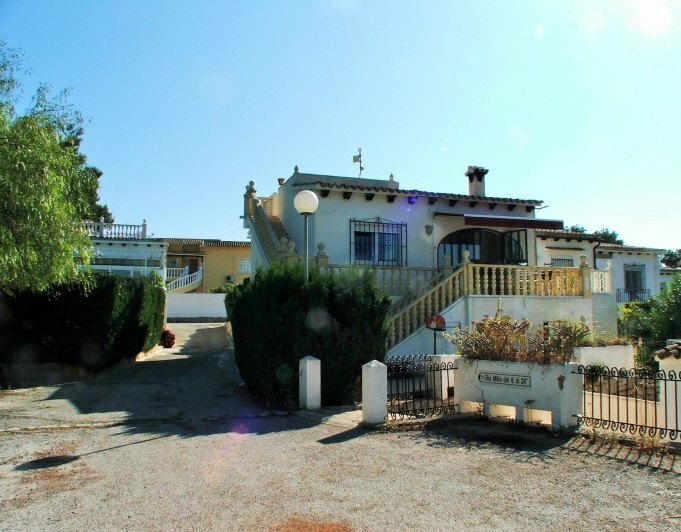 This Villa would make a fantastic family home, the current owner enjoys cooking and has installed a nice modern well equipped kitchen utilising the large kitchen space. This is a large villa with 4 wellpresented bedrooms and 3 bathrooms.The garden and pool area is completely flat and low maintenance with a large shaped pool.Extras: double glazing with shutters and mosquito nets, off street parking, external shower, BBQ, south facing. Great opportunity to acquire a magnificent Villa in Moraira.This Villa is located in a quiet urbanization, only 300 metres from a tennis club.The plot has 880m2 in which we can enjoy a large swimming pool, a small fullyequipped bar, barbecue and parking for three cars.The property is 230m2 and is distributed on one floor, which consists of a fully renovated kitchen, a large open plan dining area with a large living room with a fireplace. The property has three bedrooms. The master bedroom has a fantastic ensuite. There is a possibility to have a separate guest apartment. 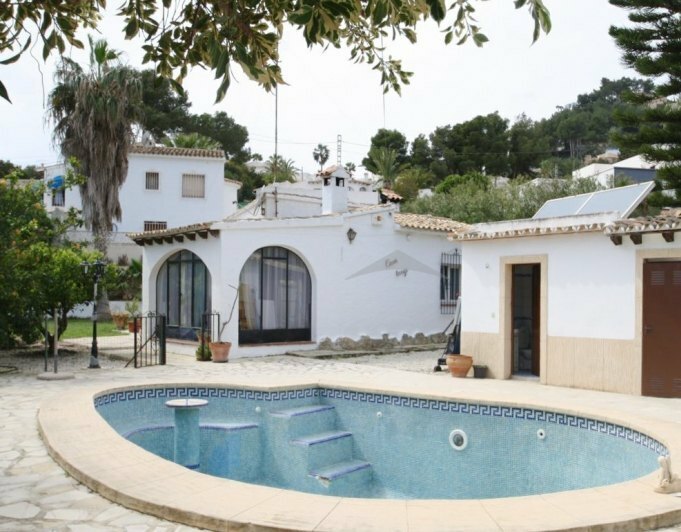 This large detached villa is set on a large 2000m2 plot within the area of Sabatera, only 2025 minute walk into the heart of Moraira. Benefiting of 2 separate apartments with totally independent accesses and independent parking facilities, the property if perfect for rental, bed&breakfast or a large family villa. On the upper level the property boosts separate car access for 2 cars, 2 double bedrooms, bathroom/shower room, spacious living/dining room and a spacious kitchen/bar area with access to a large terrace, covered naya and big pool area where the private 8 x 4 swimming pool is. On the lower level, accessed from the bottom street we find a single car port + off road parking for other 2 cars, living/dining room, 2 double bedrooms, 2 bathrooms, separate fully fitted kitchen and another spacious room (equal to the upper level living room) currently used as office but could be converted into a big master suite, from the level there is access to a big terrace and the rest of the land. The property has partial double glazing, airconditioning hot and cold in some of the rooms, off road parking, private pool and offers lots of possibilities. Find an ideal villa for sale in Moraira is about to come true! 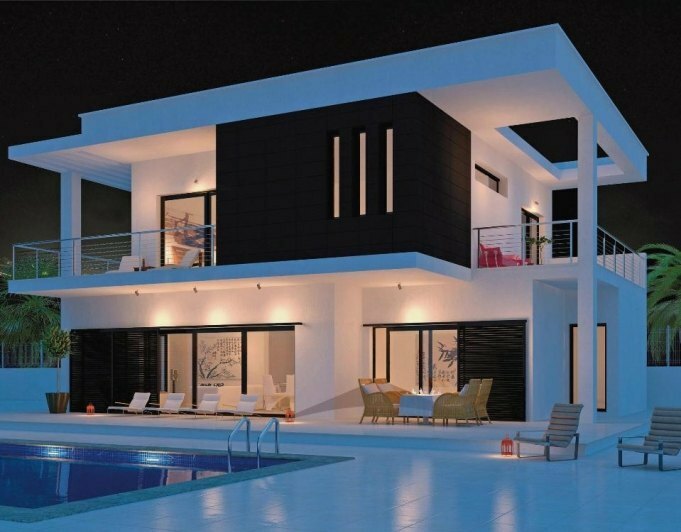 In Costa Blanca Dream Home have the most comprehensive range of villas for sale in Moraira. From the vast choice of villas available, we select villas that suit your individual requirements and provide impartial advice for each one we view. Our specialist knowledge, investment advice and local insight will help you make the right decision. Moraira has several urbanizations and areas, of which El Portet is the most special, with spectacular views towards the sea, it has a truly spectacular beach. Other well-known areas are: Pla del Mar, Moravit or Benimeit. If you need help finding your villa in Moraira or your villa in El Portet or other areas like Moravit or Pla del Mar do not hesitate to contact us. In this section we show you the best villas we have in Moraira and exclusive areas. If you want us to advise you on the purchase of your villa in Moraira do not hesitate to contact us. Looking for a Plot in Moraira for sale?